Subnet combines multiple successive IP addresses using a subnet mask to binary boundaries under a common front. In case of IPv6, it is called the prefix. There are several techniques for connecting different subnets together. A scheme for subdividing networks was introduced in 1985 and 1992 it was standardized for the first time in RFC 950. In administratively independent areas, so-called autonomous systems, always one or more subnets are managed, which in turn can be subdivided into smaller subnets. Application ( OSI layer 7 ) via gateways . In the simplest case, you can divide a network into subnets of fixed size (all subnets have the same size). However, due to the shortage of IP addresses , nowadays often variable-sized subnets are used. The separation of the subnet range is detected by means of bitwise mask of a certain part of the IP address of the subnet mask. This is obtained from an arbitrary address for the subnet containing the address belongs to the assuming this mask. Subnets used as a representation of IP networks in the routing tables. By routing between subnets, the Internet is structured. The subnet mask indicates which bytes (or what portion) of the address is the network ID. The mask consists of a sequence of ones followed by a sequence of zeros written in the same manner as an IP address. The mask determines all parameters of a subnet: network address, broadcast address (broadcast) and can be assigned to network nodes (hosts) addresses. Routers form the boundaries between subnets. Communication to and from other subnets is done through a specific port on a specific router, at least momentarily. 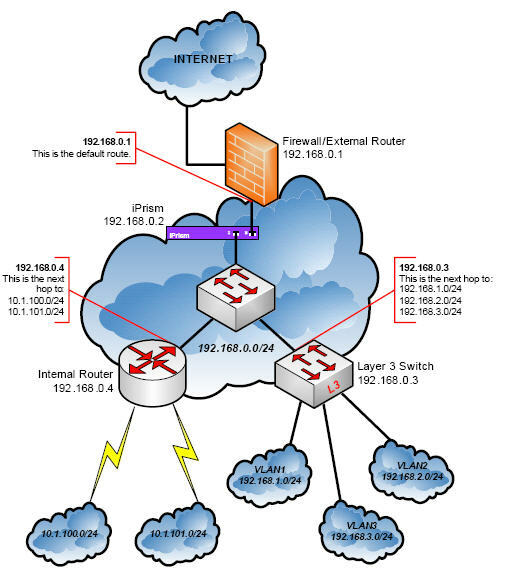 Subnets simplify routing, since each subnet is typically represented as a row in the routing tables in each connected router. The subnets were used before the introduction of IPv4 addresses. Subnets allow Classless Inter-Domain Routing (CIDR). For computers to communicate with a network, you need to have own IP numbers, but if we have two or more networks, it is easy to divide an IP address from all hosts on the network. This forms can split large networks into smaller networks. Tagged With Subnet , subnet mask , what is a subnet mask , what is subnet mask? This Article Has Been Shared 1203 Times! Cite this article as: Abhishek Ghosh, "Subnet and Subnet Mask," in The Customize Windows, February 21, 2014, April 21, 2019, https://thecustomizewindows.com/2014/02/subnet-and-subnet-mask/.